Sectional sofas deliver indispensable versatility to any family or living room. These sofas curve to fit your available space for seating that brings family and friends together. A number of furniture manufacturers feature a fantastic selection of L-shaped sofas in styles from modern to traditional. 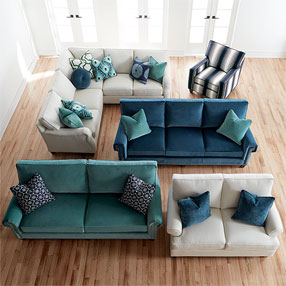 These sectional sofas allow you to set them up in a way that makes your space flow seamlessly. 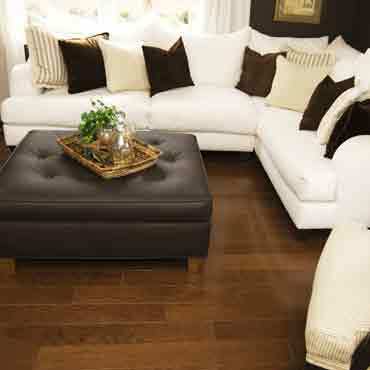 Pair a sectional sofa with a matching accent table, and you'll have a unified look that will make any room astounding. If your home features an open floor plan, a sectional sofa can surely help you define your space. Combined with a coffee table, you'll have a newly decorated area that is equal parts chic and practical. A sectional sofa often comes with features of other chairs. Reclining sections allow you to lay flat when you want to take a well-deserved afternoon nap. Fold-out consoles store remotes and hold drinks. Find a sectional with all the amenities you need to make your home even homelier.